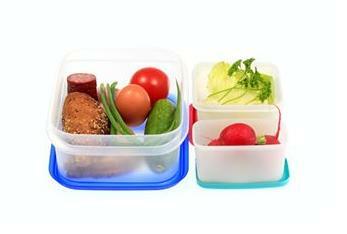 Jamie's Nourishing Bites: Packing Healthy School Lunches! 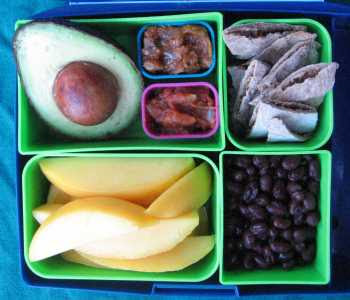 School lunches can be a tough; the kiddies need to like what they are having on top of being super healthy to provide them with the energy they need to get through the afternoon at school. I don’t know about you but when I was a child there was often a lot of lunch swapping going on. When you spend the time making your kids a healthy lunch and the money YOU WANT YOUR KIDS TO EAT IT! We also have the challenge of food allergies in schools. Schools are peanut and often nut free along with other restrictions depending on the school your kids go to. All of these factors can make it challenging to make a healthy and allergen free lunch that your kids will actually like. So my intention here is to inspire you to get creative and make lunches the kids will actually like and not want to trade. When I decided that I was going to write this post, I thought who better to ask what would make a good lunch than kids themselves (I also posted a Facebook question where I got some great answers. If you are not part of the Facebook fun on my fan page, I highly recommend you pop by and click the like button to take part in the healthy conversations Click here to become a fan!). So I asked my nieces and nephews what they would like in their lunches. The first answer I got was from my 5 year old nephew Michael and he said all he wants in his lunch is chocolate. Then he moved on to say a nutella sandwich would hit the spot. My older nieces and nephews liked the idea of pizza, sandwiches and leftover stews/soups. My partner Todd said that his favourite lunch was the pre-packaged Lunchables(please do not buy these). I always liked a good peanut butter sandwich. So with that information I have put together some ideas that I think would not only be super healthy and help your kids get through the afternoons with their energy levels consistent but also that they will enjoy and actually eat! • Pizza Sandwich – 2 sprouted grain wraps, pizza sauce mozzarella cheese + steamed and diced veggies. Top one wrap with all of your child’s favourite pizza toppings, be sure to add a few more veggies and make sure cheese is on the bottom and top so the wraps stick together. Place 2nd wrap over the 1st one. Heat a pan with a touch of olive oil over medium heat. Heat wrap on both sides until cheese has melted. Cut into triangle shapes and let cool before packing. • Tuna salad boats! Served on top of romaine lettuce + cherry tomatoes. Serve along with some yogurt and fruit. • Homemade Lunchables – Nitrate free turkey slices (Organic if you can afford) or organic pepperoni cut into squares, cheese slices, whole grain crackers (try Kashi TLC crackers) + avocado (sprinkle with some lemon juice to prevent browning) + veggies such as cucumber, tomatoes, carrot sticks, etc. • Get your kids involved in the produce section. Let then choose the fruits and veggies they would like to have in their lunch. Make a game of it, try something new every week. • Keep your kids hydrated with good old H2O. Send 1-2 bottles (re-usable) in their bags. • This is great for kids on special diets including wheat and gluten free. • Other options include; chopped onions, celery, bell pepper, add a dash of hot sauce, etc. Blend all of the ingredients in a food processor, except tahini. When well blended, add the tahini and adjust salt and pepper to your liking. Pulse a few times to mix and viola!! Easy peasy (as my mother would say) and your done!! Blend and add to a re-useable container. Great to add to breakfast, enjoy as a snack or packed in a lunch box. Here is a nice reminder why we need to take the time to make nourishing meals for our children. Even if your child is at a healthy weight their bodies still need good nutrition. We all need vitamins, minerals, antioxidants, proteins, healthy fats, and complex carbohydrates to live a full and healthy life. As a society we need to teach our children how to live a healthy life and it starts as soon as they start eating. Jamie - never had a chance to say thank you for posting this! This is very helpful and I will definitely put your tips to good use! You are very welcome Sandi!